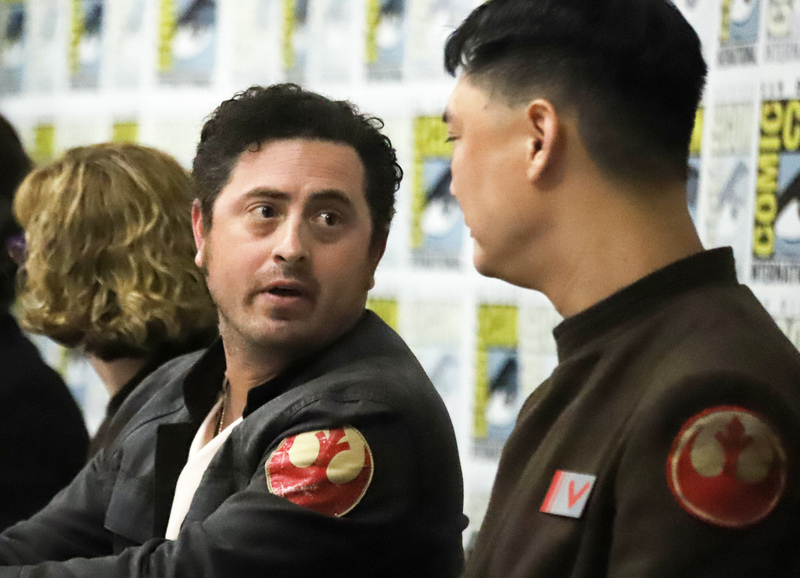 The 2018 San Diego Comic Con was the best we have ever had at a con. 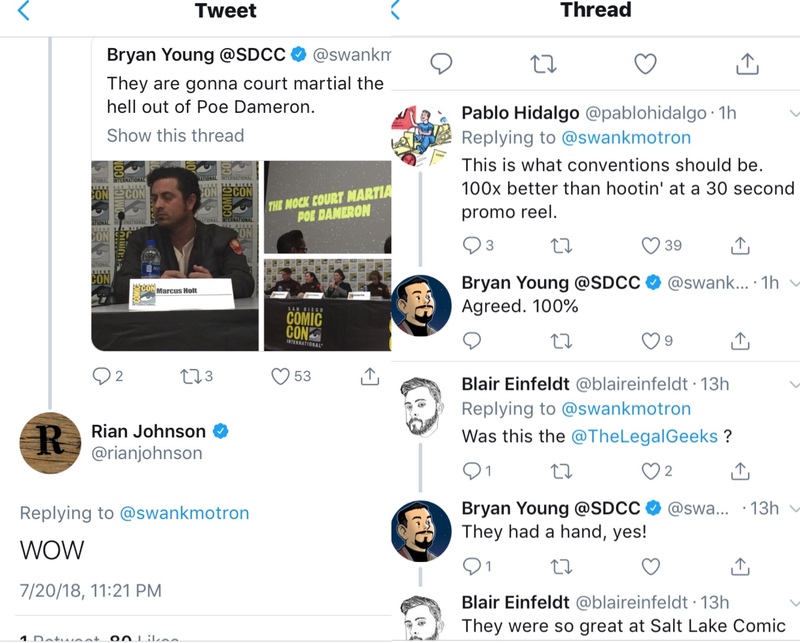 Our two Star Wars panels had 500 people attend, with excellent audience questions, and a standing ovation after our Mock Court Martial of Poe Dameron. 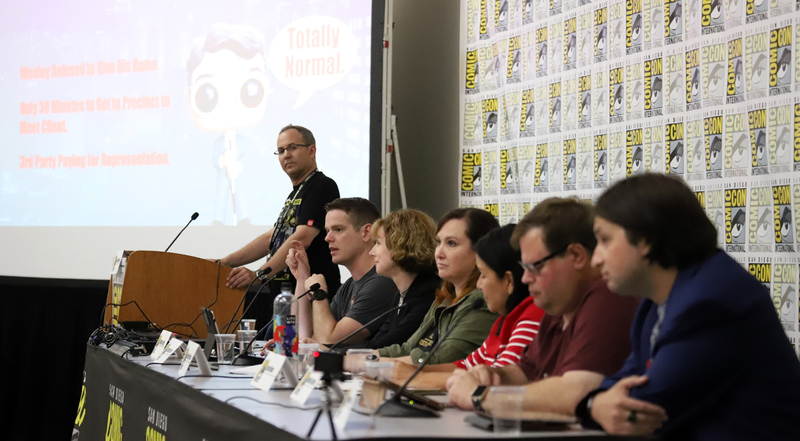 We had a rapid-fire discussion of the legal issues in the Marvel Netflix shows, including an attendee who began her question with, “I go to all of your panels.” She was from New York and we are grateful to see people so interested in the practice of law. 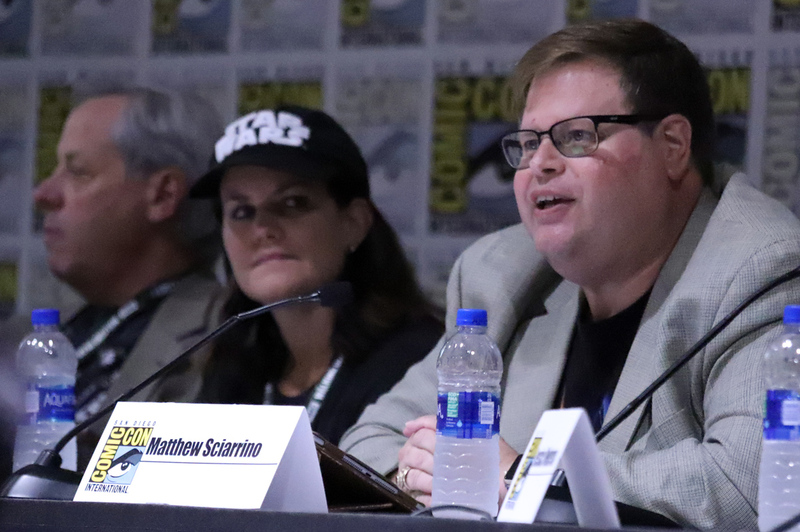 A huge thank you to Circuit Judge John B. Owens, Magistrate Judge Stacie Beckerman, Magistrate Judge Mitch Dembin, CA Judge Carol Najera, and NY Judge Matthew Sciarrino for their legal analysis of The Last Jedi and Solo. The Judges all showed their geek cred with chambers photos of their Star Wars collectables to kick off the panel. We also had excellent audience questions, which are included on the panel recordings. Our mission was community outreach, because the “law” can be extremely complex. However, there is no better foil than Star Wars to understand the law. Tune in to our panel to hear the many legal issues from The Last Jedi and Solo, covering the duty to rescue, negligence, Droid Rights, military tribunals, and more. The Marvel Netflix shows Daredevil, Jessica Jones, Luke Cage, Iron Fist, and The Defenders, are all overflowing with legal issues. CA Judge Carol Najera, NY Judge Matthew Sciarrino, Christine Peek, Jordon Huppert, Megan Hitchcock, and Thomas Harper, joined us for a deep dive into the law of the Defenders. A Star Wars mock trial needs witnesses who can testify to events. The Rebel Legion Sunrider Base had two outstanding volunteers to join our team. Marcus Holt and Rachel Williams are two amazing cosplayers who love their characters. Both learned their respective witness statements and practiced with their attorneys on how to do a direct examination. Additional practices were scheduled over videoconference on how to answer questions on cross-examination. Judges also assisted with mentoring on how be on the witness stand. Following canon and staying true to the characters was pivotal in having a successful mock trial. Witness statements were prepared based on the film, with supplemental details from the book and Wookieepedia. The attorneys decided to wear Resistance uniforms for the mock trial. 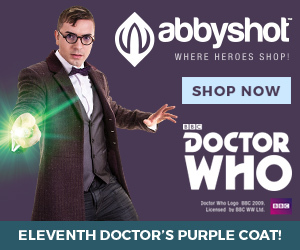 The mother of one of the defense attorneys had years of experience making costumes for Renaissance fairs and volunteered to make the jackets. 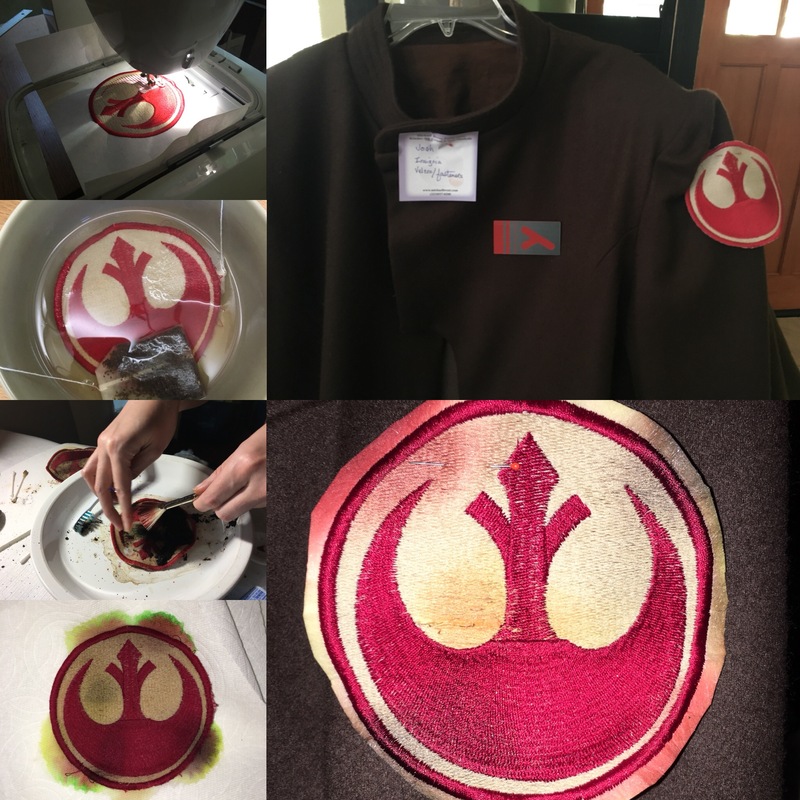 She did a stunning job with the guidelines from the Rebel Legion. We wanted to address the complex issues of Star Wars The Last Jedi to help fans find a resolution to the actions of Captain Poe Dameron. Star Wars aspires to the high ideas of heroes standing up to fascism, whether it was the Empire or First Order. Being a nation of laws, our disputes are resolved in courts. Those who are charged with a crime have the right to counsel and a fair trial. Insubordination when then Wing Commander Dameron disregarded General Leia Organa’s order, shut down his radio, and ordered the bomber squadron to attack the First Order Dreadnought Fulminatrix. All eight bombers and forty crewmembers were lost in the attack. Mutiny when Captain Dameron conspired with Lieutenant Kaydel Ko Connix, Rose Tico, and Finn to organize a plan to infiltrate the First Order Mega-Class Star Dreadnought Supremacy without the knowledge of his commanding officers. The end result of Captain Dameron’s mutiny was the transmission of Admiral Holdo’s plans to Finn and Rose, which allowed the information to ultimately fall into the hands of the First Order. The First Order used this information to shoot down numerous unarmed Resistance transports escaping the Raddus. 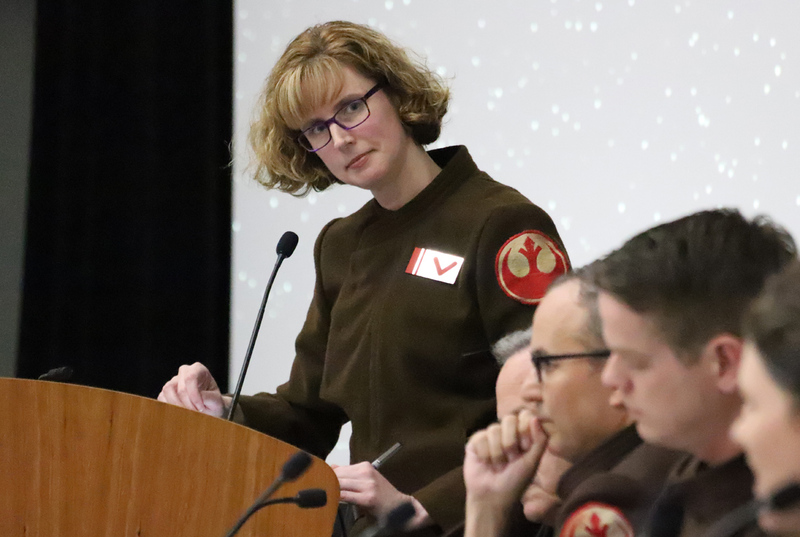 Captain Dameron’s attorneys argued a strong defense based on mistake of fact that Vice Admiral Holdo was a traitor. The Defense arguments invoked the Clone Troopers who followed Order 66 without question (who also have a strong insanity defense); the Clone Troopers of the 501st who questioned the loyalty of General Krell and did not blindly follow orders that would have led to ruin; and looking to the namesake of the Raddus with the heroes of Rogue One for violating orders to steal the Death Star plans. Moreover, the Defense highlighted that Captain Dameron had witnessed civilians murdered by the First Order and was tortured by Kylo Ren days, if not hours, before the evacuation of D’Qar. I thought the Defense could have carried the day with their argument. 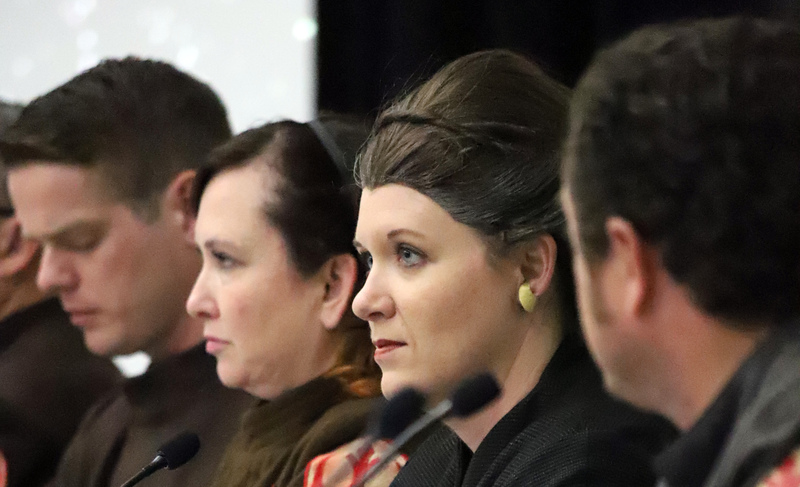 The attorneys argued with courage, resolve, and great empathy for Captain Dameron. 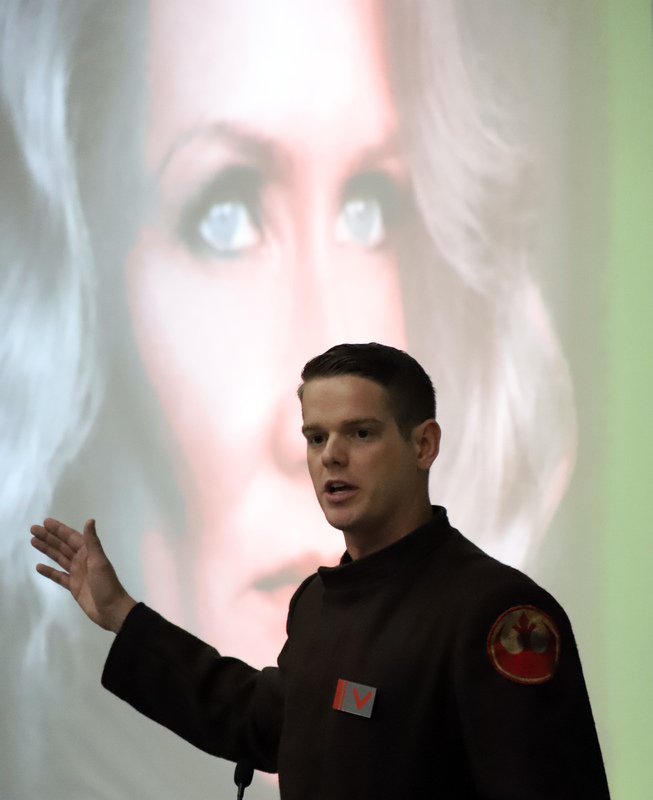 The Prosecution had a powerful case against Captain Dameron where General Leia Organa testified to the events around the evacuation of D’Qar and the escape from the Raddus. 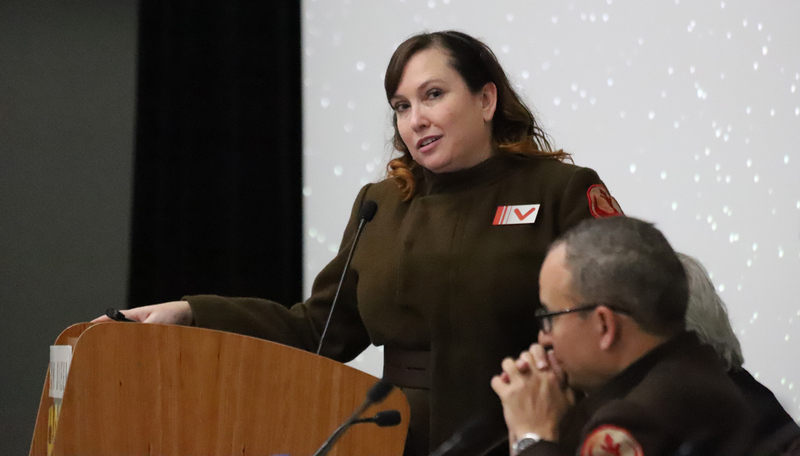 From the Prosecution’s opening statement to closing argument, there was no escaping the fact that Poe Dameron disregarded General Organa’s order to break off the attack on the First Order Dreadnought Fulminatrix. That attack resulted in the loss of entire bomber squadron and three X-wings. The Prosecution attorneys did a masterful cross-examination of Captain Dameron, where he admitted to both disregarding orders and seizing control of the Raddus at gunpoint. The Prosecution drove home the loss of life that was a direct result of Captain Dameron disclosing Vice Admiral Holdo’s evacuation plan that was overheard by DJ and sold to the First Order. The Prosecution made clear it was Captain Dameron’s actions that cost the Resistance lives on two separate occasions. Trials are the main way we resolve conflict. The justice system is the forum for wrongs to be righted. More importantly, our system is predicated on fundamental fairness for the accused to have a defense. In our mock trial, the defendant had attorneys with years of trial experience who had deep knowledge of Star Wars canon. The prosecution and defense both forcefully argued their case. Everyone put in substantial time preparing their witnesses and arguments. Job well done to all of the attorneys and witnesses for bringing this case to life. We were extremely humbled by the positive reception to the mock trial. From everyone who live Tweeted the proceedings, to the standing ovation at the end, to the article in SyFy, thank you. We are glad you enjoyed the mock trial.